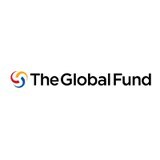 The Global Fund - "An indispensable element of our efforts to end HIV as an epidemic – prevention – is lagging too far behind, and allowing too many people to be infected with the virus. An estimated 2.1 million people were newly infected with HIV in 2015. That includes 1.9 million adults – a number that has remained steady from 2010 to 2015 – as well as more than 150,000 children. These are all people who now have to live with a disease we can prevent. The number of people on HIV treatment is growing steadily – now more than 18 million – and that’s the results of really impressive work by many countries, work that has to continue and expand. Self-testing is a great way to reach people who do not know their HIV status. It is an innovative strategy that will help accelerate access to and uptake of HIV testing. HIV testing is especially pivotal among people who are exposed to higher risk of HIV and who live in areas with low coverage of testing services. The service will be a great way to reach people with HIV who remain unaware of their status.